If I’d actually, purposely bought Shank I’d be somewhat ashamed. It’s terrible. It’s derivative. It is utterly humourless. It has literally the most boring art style I’ve ever seen in a game, like somebody tried to animate the aforementioned Penny Arcade comic but only succeeded in sucking out anything that might have made it bearable to look at. I’ve played it for just an hour, and I only managed that after forcing myself to go back to it several times. Bear in mind that I made it all the way through the Battlefield 3 single player campaign, a game so superficial that I refused to give it a score (back when I still gave games scores), so believe me when I say that only managing to get an hour into Shank is bad. I went into Shank with zero expectations and an open mind. I didn’t know anything about it, and I really did give it a fair shot. It genuinely is that bad. I’m absolved of any guilt I might feel about having this awful game sitting in my Steam account. If there were some way to delete Shank – in effect, to give the game back as an unwanted product – I’d do it, but there isn’t, so I can’t. 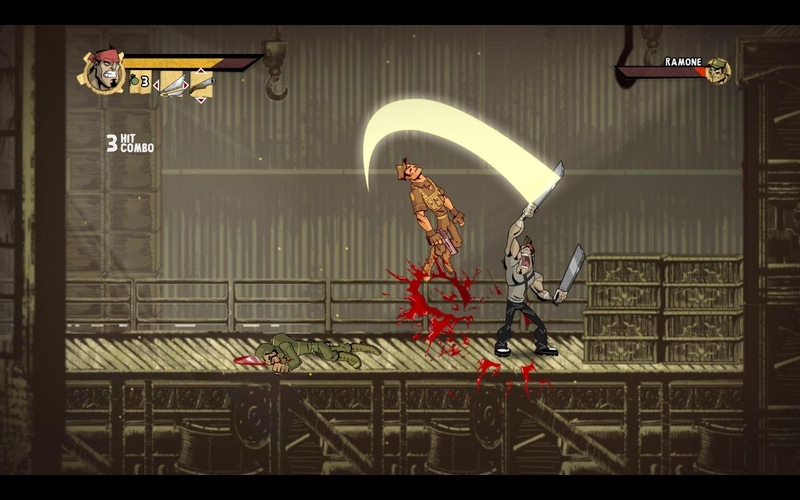 Shank is a side-scrolling beat ‘em up in a similar vein to ancient arcade classics Double Dragon and Streets of Rage. There’s nothing fundamentally wrong with this concept, except that in Shank’s case there’s absolutely no sense of fun about it. The tone of the game is set during the intro sequence, where the main character walks into a bar straight out of Robert Rodriguez’s Desperado (the entire game is heavily “influenced” by Desperado, which is code for “ripped off completely”), has a short, gravelly voiced conversation with the bartender and then starts killing people in a ludicrously overblown and melodramatic manner. All through the intro I was waiting for the twist, the punchline, something to give this gratuitous exercise in violence some point. But there was no point. It was just there because somebody thought a muscly man killing other muscly men in a gratuitously gory manner was cool. That’s the sole “point” of Shank: violence for violence’s sake is cool. It’s a remarkably unpleasant idea to base your game around, and it’s one that defines the entire game. But what about the mechanics? How does Shank play? Very poorly, as it turns out. There’s three different types of attack – light, heavy and ranged – but there’s no real functional difference between the three. The only reason you have to switch between them is because if you use one attack too much the enemies will start to block or dodge it, and so instead of mashing one button to kill baddies you mash three in succession instead. The combat can be pretty much summarised as “Run into pack of enemies, hammer buttons randomly until they’re all dead.” It’s completely mindless, and not in a good way. The tedium of the combat is occasionally broken up by equally tedious platforming sections – which would be childishly easy if the control system wasn’t so bad – and even more tedious bossfights. The bossfights are the worst example of this particular genre trope because you’re generally expected to do something special to take them down, and yet the game never tells you what that is on your first time through. So you hit buttons randomly (the heavy attack failed, perhaps the leap atta- no, that’s not working either, I’ll try a gren- oh bugger, I’ve just been thrown into a spike pit) and without success until the boss kills you, and that’s when the game tells you what you need to do to win. Maybe. If it feels like it. It’s utterly infuriating and incredibly boring to play. Maybe I’d be slightly more forgiving of Shank if it displayed anything remotely resembling a sense of humour, but the main guy’s quest for whatever is played completely straight. Every act of ludicrous violence in this game is entirely genuine. The cutscenes have this absurd, po-faced seriousness about them – everyone is ridiculously muscled and manly, everyone scowls all the time, and everyone is literally smouldering with the generic rage from the Penny Arcade comic. The only way this could possibly work is if it were some sort of parody of action games, but as I said there’s not one iota of humour to be found in Shank, and thus not one iota of fun either. And the art style. Good god, the art style. Like I said, they tried to rip off Desperado but only really succeeded in that they managed to make their game world look like the Mexican desert – dry, dead, and dull. 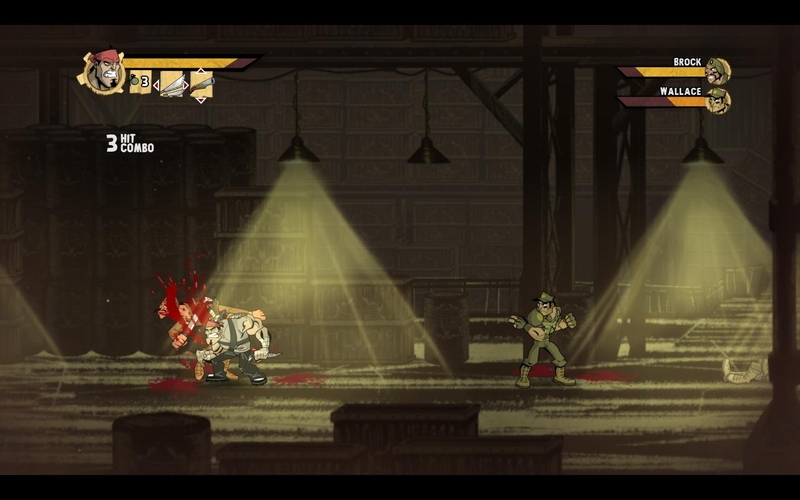 It seems like there are two colours in this game; you need a deep ruby red for the copious amounts of blood that get liberally sprayed around every few seconds, but the rest of the game is done up in various shades of brown. 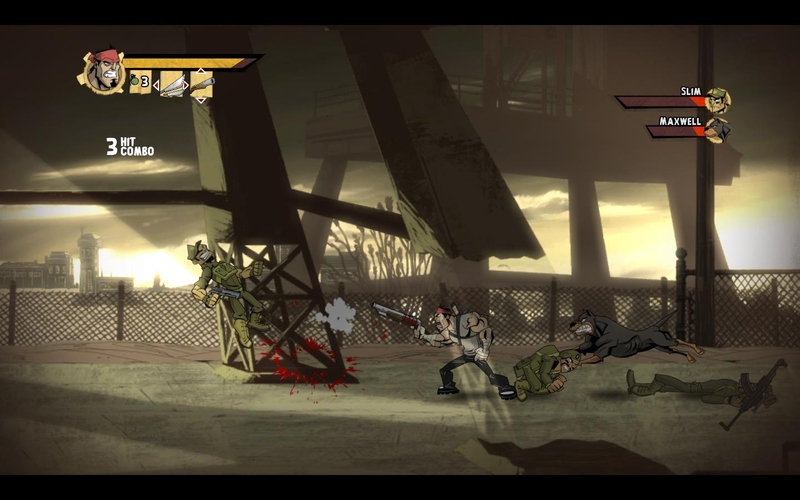 Brown buildings, brown billboards, brown sand, brown skulls, brown ground. Have we honestly not moved on from Gears of War? I thought gaming was maturing somewhat, that while we were still getting mass market dross from the big publishers a select few developers along with many indies were producing works of amazing creativity and intelligence. Shank doesn’t exactly prove otherwise, but it does prove that an “indie” game can be just as generic and unimaginative as anything the monolithic behemoth publishers might put out. Hopefully Shank is the worst game I’ll play this year; it’s certainly something to rival the nadir of 2011 that was Battlefield 3’s single player. Shank’s lack of humour and fun is mean, its obsession with violence as an end in itself is remarkably immature, and the game as a whole is a fundamentally unpleasant experience that should be avoided at all costs. I totally made a Blood Bowl team based on synonyms of boring. Can anyone guess what race they might be?